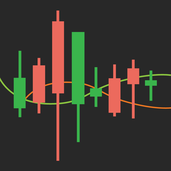 About me TraderPulse offers our traders with free as well as premium Forex signals, expert trade analysis, trading tools, and a lot more utilities. Practice to trade the best possible way with our assistance and stay confident while placing your trades. After a downhill move, EUR/USD has formed an inverse head and shoulder pattern. It has broken the neckline too and is currently consolidating just above it. Hence we expect the pair to turn bullish and move to the resistance levels at 1.12871 and 1.13237. The counter is brimming with positive bias for the past few days. The price is at its trendline in the hourly chart. Hence, it’s a good opportunity to go long since we expect it to continue its bullish momentum.